Cemetery use on my parents grave. I purchased the coral begonias to use around the house 3 years ago. As long as you wash before storing them for the off season they will last forever. They haven't faded or rusted. BECAUSE EVERY HOUSE IN THIS GREAT COUNTRY SHOULD SHOW THE RED,WHITE AND BLUE WITH PRIDE. I love roses and it will look great for the holidays. 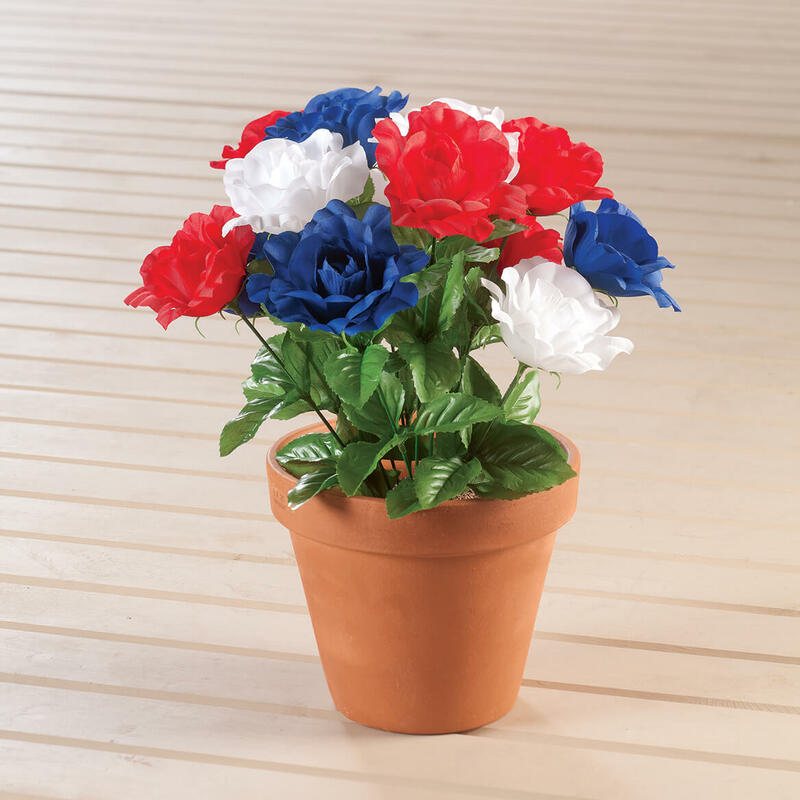 I chose this patriotic bush because it appears to be a good quality for the price. 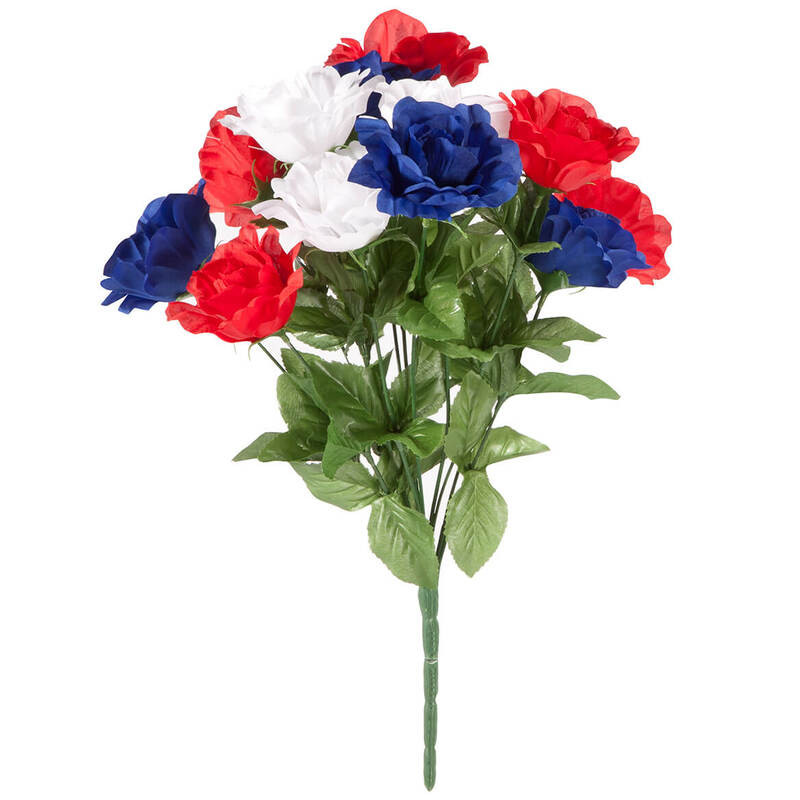 I purchased 2, for use in a floral display. For my Son's Grave since he was in the Marines over 10 years !! 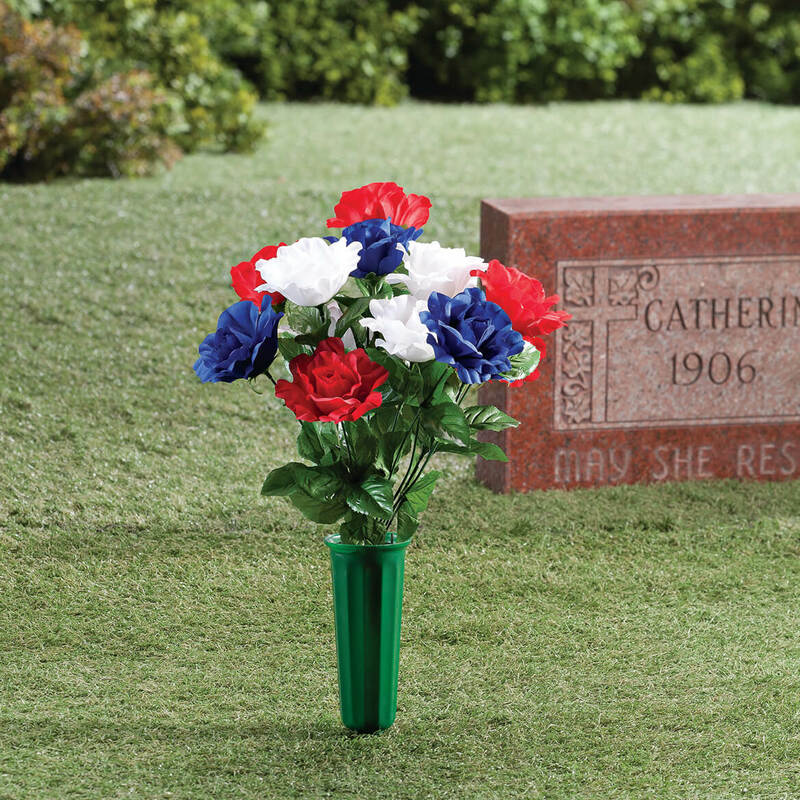 Patriotic for use at grave sites of patriotic American citizens!